Enter to win One of Two signed printed copies with three complimentary bookmarks per book. Entry and date information below. 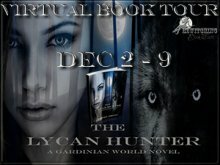 Today we are spotlighting a Paranormal Shifter Romance. 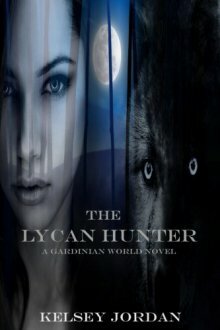 Kyran of the Blue Ridge Pack has spent most of his life searching for an end to the Forever War. Finding a Hunter among their greatly diminished ranks who was willing to forgo their "shoot first" mentality was harder than it seemed. Then fate—or the gods—gifted him with Alexis James, a petite Hunter with a nasty habit for killing his kind and a need for his surgical skills. After eight thousand years of war, the end is becoming a reality, but is the possibility of peace worth Kyran's soul and possibly Alexis' life? Like everyone, Kelsey has her share of vices. They typically center around sinful frappes made with Blue Bell Coffee ice cream, late nights hanging out with her demanding muse, spending an embarrassing amount of time reading, and napping. When she isn't indulging in her love of books, music, late nights with her muse, and delicious, but fattening frappes, she is spending time with her hubby and daughter.